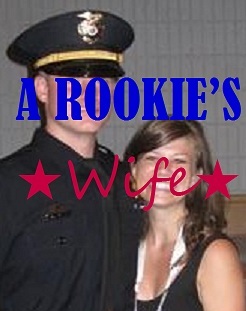 A Rookie's Wife: It can wait! I'm glad that awareness is coming to this problem that always seems to be growing. It's such a dangerous habit to get into. When I was a teenager I used to be a victim to this habit, as well. It's so frustrating to me that I would text and drive as a teen - when I was first on the road by myself! So dangerous for me, but even more importantly, so dangerous for everyone around me! It absolutely irks me to see people on the highway to work going 80-85 mph swerving with their heads down because they're texting. Can't it wait? That's one big thought that changed my view on texting and driving - can't it wait? Who in my life am I so tied down to that they can't wait 5-10 minutes for me to send them a reply? Am I really a slave to my friends and family like that? I know that I'm not. My friends and family would happily wait for a reply until I'm not driving. Won't yours? Take some time to reflect on those thoughts.